How to do conditional formatting in Grid summary rows? This knowledge base explains the way that how to format the summary rows. 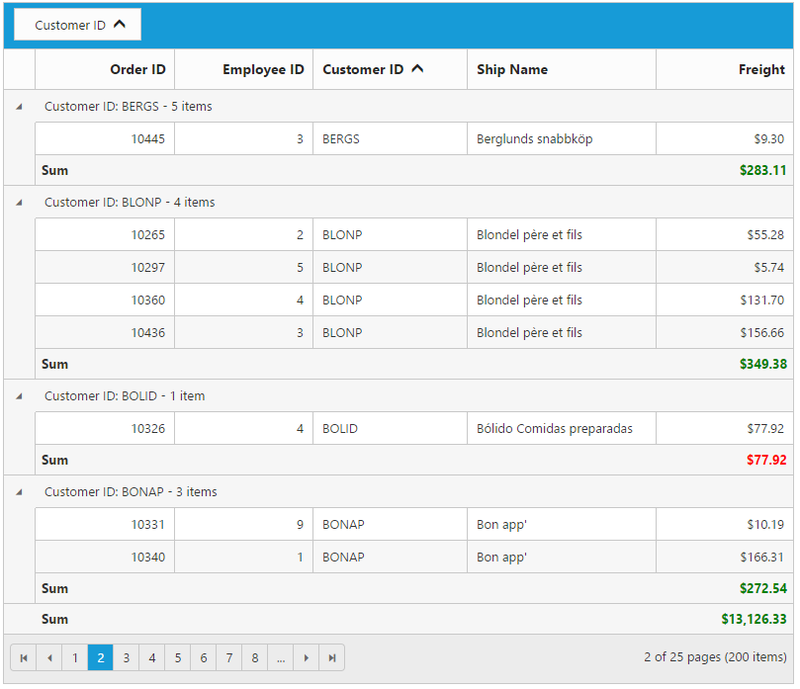 We can format the summary rows using the template of the summaryColumns and along with the helper functions of the jsRender. The following code example demonstrates how to format the summary rows using the template of the summaryColumns. 2. For angular 2 we have format the summary rows using ng-template with e-summary-template attribute in grid. In ng-template we have applied the styles to summary values based on the value. 3. Define the helper function and in this function we have applied the styles to summary values based on the value. Figure: Grid with formatted summary rows.